THE MANY BENEFITS OF DANCING TOGETHER! You have surely heard the saying ''dance as if no one is watching you'' in order to help you loose your inhibitions and behave less self consciously. Although this is undeniably good advice, science is telling us that you may get even more benefit from dancing whilst remaining fully aware that you are not alone! DANCING TOGETHER MAKES YOU HAPPY & MORE! Looking at the role of music and dance in human evolution, some theories have focused on the importance of synchronisation of movement, not just with sound but with other individuals. Whether it be mother and child swaying together, an orchestra or a choir performing in unison, the interpersonal synchrony and its effects on physical and emotional bonding might be related to the release of hormones that facilitate bonding and memory. Recent studies have shown that not only does the synchronised movement experienced through dancing with others make you feel closer, it can even raise your tolerance for pain! Dance is an activity where synchronised movement to sound and to other individuals is highly developed. Examples of women dancing together can be evidenced in cave paintings dating to as long ago as 6000 b.c. and continues to this day. To name but a few communal middle eastern dances we have Khaleegi, a woman's social dance performed in the Gulf States or Dabke, danced throughout the Levant. DANCING TOGETHER HELPS FIGHT HOME SICKNESS! 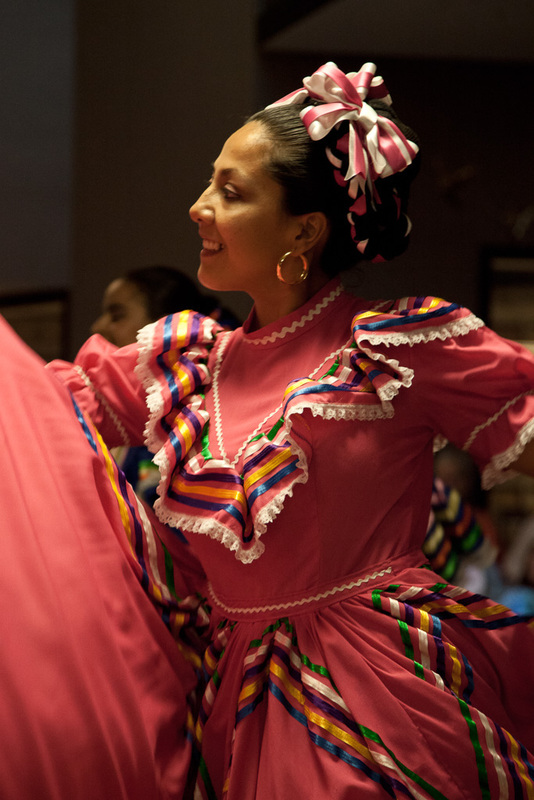 When you live far away from home, dancing in a group can help to keep your culture alive and retain the connection to your roots or homeland. During the Welt Tanz festival in Europaallee, August 2015, organised by ZeoT Zürich in collaboration with the SBB and Alb Proyekt, we had the pleasure to meet groups based in Zürich from all over the world. At ZeoT we come together in and outside of the classroom. We have a great team of teachers and a community of dance students who take part in projects, workshops, haflas and shows. Dancing together in class provides many of the aforementioned benefits as well as creating the opportunity to make new friends. ''Thanks to ZeoT, I have not only developed as a dancer but have made many wonderful friends who I can share my passion for my belly dance with.'' Andrea K.
In February 2016 the Urban Jungle performance project made it onto the stage, the culmination of 6 months hard work, dedication and creativity. The project, created by the genius of ANASMA, was hosted by ZeoT Zürich and was an inspiring example of the power of dancing and creating together. If you would like to work more closely in a group we offer our students the opportunity to take part in our annual ZeoT show or to join our show group Najma. The intense practise of learning and rehearsing a choreography together intensifies the benefits of dancing with others. Share this experience with your friends! As a thank you for recommending us and as part of our 'Bring a friend' campaign, we offer you a 15% discount on your next course at ZeoT Zürich. Offer applies to ZeoT Zürich students only.